I have a steam-radiator heating system. The furnace is in the (unfinished) basement, and the steam-carrying steel pipes spread out across the basement ceiling before going up into the rest of the house. Should I insulate these pipes in order to save energy in the winter? Or will the furnace itself heat the basement so much that insulating the pipes doesn't matter? You are likely losing a lot of heat into your basement if they aren't insulated. Unless your basement is finished (and therefore you want the heat there) you want to keep as much heat in those pipes as possible so that it gets into the main part of your house. The heater (and other similar equipment like hot water heater) should heat the room enough to avoid freezing or being a drain on the rest of the house, which is all you really need to worry about. It can also be safety concern if those pipes are running places where you might inadvertently touch them. To echo what @acrosman said, yes insulate the pipes. 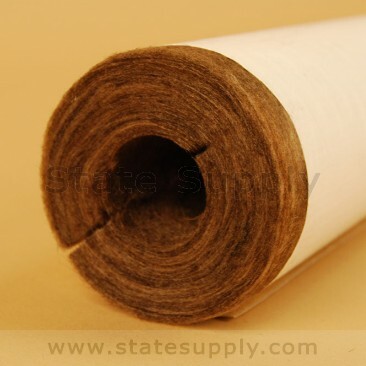 I'd suggest using fiberglass pipe insulation joined with foil tape, and loose fiberglass / PVC caps for turns. Wear a respirator. Cuts can be made with a sharp, long utility knife. Not the answer you're looking for? Browse other questions tagged insulation basement radiator furnace steam or ask your own question. Worthwhile to insulate basement ceiling while remodeling? How can I stop heat loss due to an uninsulated porch? Why are my water/radiator pipes whistling when I shut down the heating system? Are uninsulated steam pipes behind walls and touching beams a fire hazard? Should I use spray foam to insulate a basement?